The ravaged Madimatle Mountain near Thabazimbi, Limpopo. 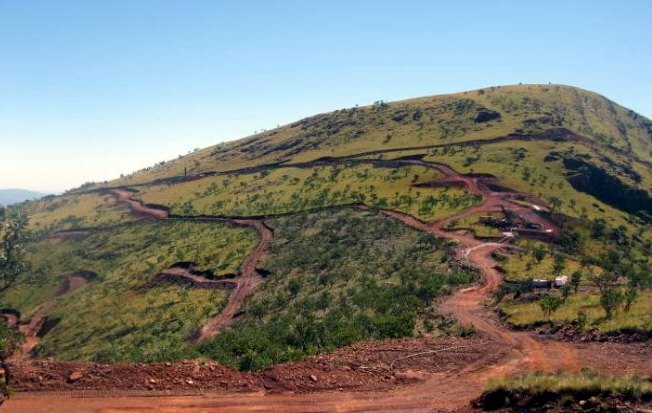 Earlier this month, the Limpopo Department of Economic Development and Tourism (LEDET) refused to grant an application for an iron ore mine, partly on the grounds that the proposed development site is important for climate change resilience. LEDET refused to approve an environmental authorisation for Aquila Steel SA (Pty) Ltd’s proposed iron ore mine in Thabazimbi, Limpopo. In its 11 March 2016 decision, LEDET confirms, with reference to the White Paper on the National Climate Change Response, that one of South Africa’s climate change response objectives is to “effectively adapt to and manage unavoidable and potentially damaging climate change impacts through interventions that build and sustain South Africa’s social, economic and environmental resilience and emergency response capacity”. In its refusal, LEDET notes that the Integrated Development Plan for the Thabazimbi Municipality recognises that the well-functioning ecosystems within the proposed development site “provide natural solutions that build resilience and help society adapt to the adverse impacts of climate change”. It acknowledges the importance of conserving and preserving “the unique ecosystem”, concluding that the iron ore mine fails to amount to sustainable development as “the disturbance of ecosystems and loss of biological diversity cannot be avoided, minimised and remedied”. The Centre for Environmental Rights welcomes this decision, and the leadership demonstrated by LEDET in acknowledging the important role of climate change considerations in development decisions. This approach is in line with international trends. Earlier this month, the Minister of Environmental Affairs ordered the developer of the proposed 1200MW Thabametsi independent power producer coal-fired power station – also to be located in water-scarce Limpopo – to conduct a climate change impact assessment. Climate change aside, the iron ore mine proposed by Aquila has been the subject of various legal proceedings. On 28 May 2015, the Traditional Healers Organization (THO), assisted by the CER attorneys, laid criminal charges against Aquila Steel and three of its directors: Johann Louis van Deventer, Anthony Poli and Martin Nicholas Alciaturi, for breaches of environmental, mining and water laws. The Department of Mineral Resources’ investigation of these charges is expected to be finalised shortly. 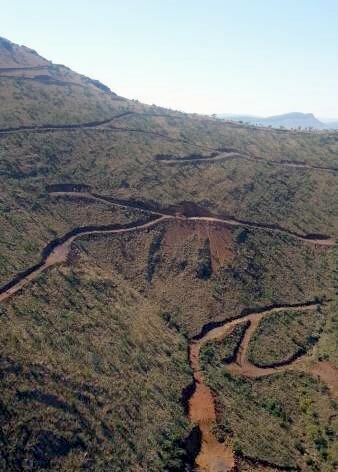 While Aquila Steel had obtained prospecting rights in 2007 and 2008 for iron ore on two properties outside of Thabazimbi in Limpopo, it had unlawfully constructed over 33 km of roads all over the Madimatle mountain, and drilled in approximately 200 locations, clearing vegetation and protected tree species in the process. As well as being in contravention of the conditions of its prospecting rights, these activities were conducted without environmental authorisation – a criminal offence under the National Environmental Management Act. Despite its history of unlawful activities, Aquila Steel submitted new applications for mining rights and environmental authorisation in respect of these properties. These new applications were strongly opposed by a number of interested parties, including the THO. The Madimatle mountain and Gatkop cave, sites of significant cultural, spiritual and historic value, are situated on these properties which Aquila Steel intends to mine. Many of the 69 000 traditional healer members of the THO visited the mountain and caves for spiritual reasons, until access was restricted by Aquila Steel. It is hoped that LEDET’s decision to refuse environmental authorisation is the first in a string of decisions recognising the importance of this site, and that Aquila Steel’s application for a mining right will also be refused in line with the LEDET decision. I am the male person with the age of 50yrs and I’m one of the off spring of Manaiwa and Moloantoa’s who were forcibly removed from that place during apartheid are around 1938-1940 and I am very happy with the decision of LEDET to reject and refuse to grant Aquilas permission to mine and destroy our heritage site that was narrated to us by our parents.